Renowned scientist P M Bhargava passes away. Renowned scientist Pushpa Mittra Bhargava, the founder director of CSIR-Centre for Cellular Molecular Biology (CCMB), died 1st august. He was 88. Popularly known as P M Bhargava, had been suffering from multiple health problems for some time now. Born on February 22nd, 1928 at Ajmer in Rajasthan, Dr P M Bhargava was considered to be the architect of the modern molecular biology and biotechnology in India. He completed his BSc in Maths, Physics and Chemistry in 1944 from Varanasi, Uttar Pradesh, MSc in Organic Chemistry from Lucknow University in 1946 and did his PhD in Synthetic organic chemistry. After that he worked as a professor in Lucknow University and Osmania University. In 1958, he went to McArdle Memorial Laboratory for Cancer Research, at the University of Wisconsin, Madison in the United States on postdoctoral fellowship. There he developed his inclination towards biosciences and he started working on the famous anti-cancer drug, 5-fluorouracil. He returned to India in 1958 and started working as a scientist in the regional research laboratory in Hyderabad. In 1977, he established the Centre for Cellular and Molecular Biology (CCMB) in Hyderabad. He also majorly contributed towards Genetic Engineering, Neurology and Origin of Life. More than 125 papers of Dr Bhargava have been published on the subjects of Chemistry and Biosciences. He has been the vice president of the National Knowledge Commission and has been a member of National Security Advisory Board. Dr Bhargava worked towards promoting scientific thoughts and eradication of myths. He was great science communicator. He was associated Vigyan Prasar science video programme also. He played important role for establishment of Department of Biotechnology (DBT). 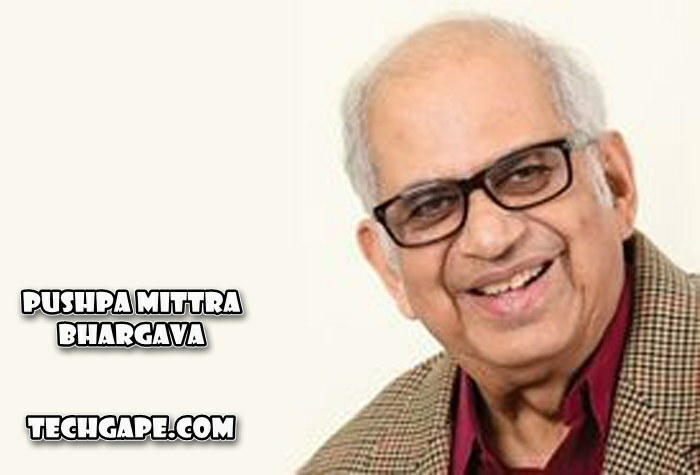 Dr Bhargava has been awarded with more than 60 national and international awards during his scientific journey. Among them are: Watumull Memorial Prize for Biochemistry in 1962, Padma Bhushan in 1986, National Citizen’s Award of India in 1988 and the highest civilian award of France, Legion d’ Honour. TechGape: Renowned scientist P M Bhargava passes away.